The Depling conference responds to the growing need for a linguistic conference dedicated to approaches in syntax, semantics and the lexicon that are centered around dependency structures as a central linguistic notion. In the past decade, dependencies, directed labeled graph structures representing hierarchical relations between morphemes, words and semantic units, with a strong reference to the lexicon, have become the near-standard representation and annotation schemes in computational linguistics, parsing, generation, and other fields of natural language processing. The linguistic significance of these structures often remains vague, and the need for the development of common notational and formal grounds is felt strongly by many people working in these domains. The use of dependency structures in the description of interesting syntactic and semantic phenomena, especially in a cross-linguistic perspective, including linguistic phenomena for which classical simple phrase-structure based models have proven to be unsatisfactory. The modelling of lexical phenomena and their role in the dependency view of linguistics. The applications of dependency analyses to natural language processing, including machine translation, parsing, generation, information extraction, etc. The use of dependency trees in syntactic analysis, description, formalization, parsing, generation, and corpus annotation of written and spoken texts. The use of semantic valency-based predicate and actancy graph structures and their link to classical logic. The elaboration of formal dictionaries for dependency-based syntax and semantics, including descriptions of collocations and paradigmatic links. Dependency-like structures beyond the sentence as annotation scheme for discourse phenomena. The description and formalization of semantic and pragmatic phenomena related to information structure. What are the differences and similarities between theta roles, valencies, f-structures, TAG derivation trees, (subcategorization) frames, semantic role labelling, etc? Which corpus annotations using head-daughter relations on words are formally and linguistically equivalent, which are not? How to describe syntax-semantic interfaces between dependency structures? 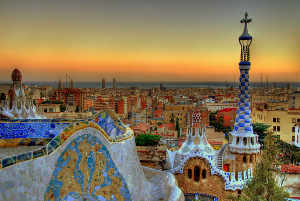 Depling 2011 will take place at the Pompeu Fabra University in Barcelona, organized by Leo Wanner (UPF), Lorraine Baqué (UAB), and the teams TALN (UPF) and flexSem (UAB). The conference is chaired by Eva Hajičová (Charles University in Prague) and Kim Gerdes (Sorbonne Nouvelle, Paris). Invited speakers: Igor Mel'čuk (University of Montreal) and Joakim Nivre (Uppsala University). The conference Depling 2011 will be held in conjunction with the Fifth International Conference on Meaning-Text Theory to take place immediately after Depling 2011. The proceedings will be published as an open access publication. A selection of articles proposing interesting connections of linguistic theories and natural language processing will appear in longer versions at Springer. Papers should describe original work; they should emphasize completed work or in the case of posters ongoing research rather than intended work, and should indicate clearly the state of completion of the reported results. Submissions will be judged on correctness, originality, technical strength, significance and relevance to the conference, and interest to the attendees. Submissions presented at the conference should mostly contain new material that has not been presented at any other meeting with publicly available proceedings. Papers that are being submitted in parallel to other conferences or workshops must indicate this on the title page. Papers containing significant overlap with previously published work should include this information in a seperate text file (to be submitted alongside the paper on the easychair site). The extended deadline for the submission of papers is 11:59pm (Pacific Standard Time (GMT-8)) May 15, 2011. Submission will be electronic in PDF format through the Depling page on EasyChair. Papers may consist of up to 10 pages of content (including references and figures). All submissions should follow the two-column format and the style guidelines. We strongly recommend the use of the LaTeX style files, OpenDocument or Microsoft Word templates tailored for this year's conference, based on the ACL format. Reviewing of papers will be double-blind. Therefore, the paper must not include the authors' names and affiliations. Furthermore, self-references that reveal the author's identity, e.g., "We previously showed (Smith, 1991) ...", must be avoided. Instead, use citations such as "Smith (1991) previously showed ...". Papers that do not conform to these requirements will be rejected without review.